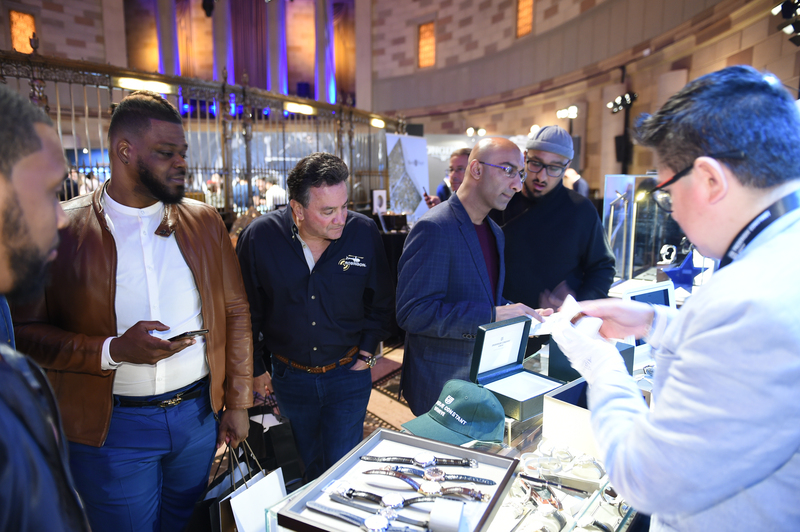 For the last four years, collectors and enthusiasts from around the world have flocked to WatchTime New York event in Manhattan. Now Los Angeles watch lovers have cause to rejoice, because this year, WatchTime Events are going bi-coastal with the launch of the first-ever WatchTime Los Angeles show. The Los Angeles edition of WatchTime Los Angeles, presented by WatchTime Magazine and long-time event partner and luxury lifestyle platform Watch Anish, will take over Hudson Loft in downtown Los Angeles for 2 days: May 3-4, 2019. To date, 24 watch brands are already signed on to exhibit their latest timepieces, and more to come, and many of these brands will bring novelty timepieces to the United States for the very first time since their debuts at SIHH and Baselworld. WatchTime Los Angeles is the west coast’s first official 2-day, open-to-the-public, luxury watch show. Bhindi Jewelers has also signed on as the WatchTime Los Angeles event retail partner. WatchTime Los Angeles makes the WatchTime shows bicoastal this year. While the New York edition’s location at Gotham Hall presents an elegant and sophisticated upscale atmosphere in a former bank building, the WatchTime Los Angeles venue, Hudson Loft, positions the show in an upscale, industrial location that is a perfect fit for Downtown LA. The uniting factor between the bi-coastal events is the tried-and-true WatchTime Event format. WatchTime Los Angeles ticket holders can expect to enjoy the energizing social atmosphere, educational opportunities, and hands-on time with an unparalleled selection of rare luxury timepieces and fascinating watch brands. If you plan to attend the Friday, May 3rd cocktail event ($150 admission) from 6:00 p.m. to 10 p.m., be sure to get your ticket early before they sell out. The VIP social event offers the first chance to interact with star designers and industry leaders over cocktails and hors d’oeuvres and to get hands-on with novelty timepieces. Be sure to stick around for an impromptu group wristshot with the team from WatchTime, Watch Anish, and other collectors. Friday ticket holders also get all-day access on Saturday, May 4th, from 11 a.m. to 5 p.m., offering ample time to interact with exhibiting brands, attend WatchTime Los Angeles’ curated presentations and industry panels or participate in a guided collectors’ tour. A $50 Saturday-only ticket option is also available. Typically, WatchTime events winds down with a bourbon or Scotch tasting, the perfect way to toast a weekend of fun, friends, and of course, incredible wristwatches unlike any other.